Eleanor Oliphant is Completely Fine by Gail Honeyman. This book’s cover blurbs call it “incredibly funny” and “hilarious” — I would never apply those adjectives to this book. Eleanor has lived through a harrowing childhood, which the reader learns about bit by bit as Eleanor navigates a new-to-her experience: friendship and an ill-targeted crush. Her lack of social skills and her survival strategy (a rigidly regimented life) lead to some painfully-comic moments but this book is hardly a laugh. Eleanor’s life is changed when she and a coworker stop to aid an injured man on the street, and you can’t help but cheer for her as she navigates new relationships and situations. One Thing I Know by Kara Isaac. A fun read with believable characters. Rachel is the ghostwriter behind a successful relationship coach, and her whole corpus of advice is based on trust, mostly stemming from problems with her father. Radio host Lucas has a host of trust issues thanks to his own dad’s actions, and is tempted by an opportunity to expose Rachel’s secret, but the two start to fall for each other, and that’s where it gets really complicated. I can’t help but be impressed by Isaac’s ability to write for an American audience, as she is a New Zealander. Attachments by Rainbow Rowell. Is there a different word for an epistolary novel written in emails? This brilliant story is half-told via an email exchange between two young journalists, with the other half, in typical narrative style, about the IT guy tasked with reading emails that don’t pass the company’s filter. 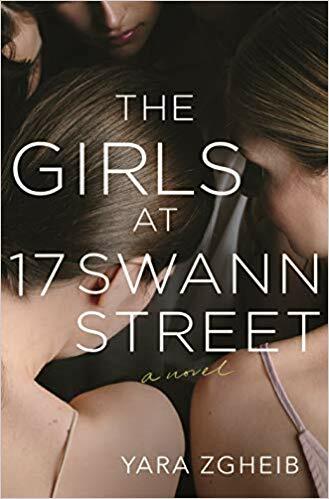 Lincoln finds himself fascinated by these young women, developing a crush on one of them even as she crushes on him after seeing him in the break room and around town. A fun and believable story with plenty of near-misses to keep it moving, and well-developed characters you can’t help but care about. Don’t miss this one! Just Let Go by Courtney Walsh. Quinn buys the flower shop her mother abandoned when she left her marriage and family during Quinn’s childhood. Driven to prepare the shop for opening and to create a floral display that will catch the eye of her mother, now a judge of a prestigious contest for floral artists, Quinn feels she has no room in her life for Grady, a bad-boy skier whose rage after losing an important competition lands him in trouble with the law in Quinn’s small town. But for his community service, he’s tasked with helping Quinn at the shop. Predictable, but enjoyable. Second in a series, though that’s not indicated on the cover; I recommend reading Just Look Up first, if only to get a better sense of the setting and the back story of other characters. Her Hope Discovered (Welcome to Ruby #1) by Cynthia Herron. Sweet debut novel on the theme of second chances. An odd supernatural element doesn’t seem to quite fit in a Christian novel, and there were more than a few “do people really talk like that?” moments, but I enjoyed the story of a young female exec who abandoned her career to relocate in a small town, only to meet the widower with two young children whose deceased wife grew up in the house Charla just bought. There’s a second novel coming in the series, and I will look for it. Season of Romance: Faith-filled, sweet, heartwarming, clean small-town novella (Rios Azules Romances: the Macalisters Book 1) by Alexa Verde. This is a longer version of “Love’s Ransom,” a First Street Church novella. It’s still a novella (its title is almost as long as the book! ), and I didn’t see too much that I hadn’t found in the first book, though the plot seemed to be stronger this time around. A good, and fairly realistic, peek into what it’s like to live with a child who has diabetes. Paramedic Melinda has Type 1 diabetes, and she falls for the uncle of the little boy next door, a child who also has Type 1 and whose father was recently killed in an accident. The Miscalculations of Lightning Girl by Stacy McAnulty. Compelling middle-grade novel about a 7th-grader with amazing math abilities. In school for the first time in years, she struggles to find a way to fit in, even hiding her abilities. But she can’t hide a few OCD tendencies, and kids can be cruel. 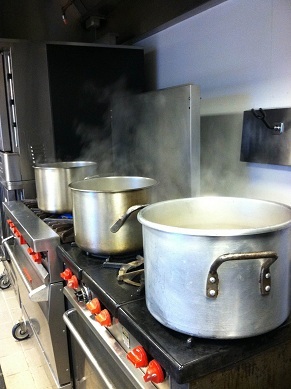 A required small-group service project has unexpected results. Great twist at the end. Highly recommended. The Day the World Came to Town: 9/11 in Gander, Newfoundland by Jim DeFede. A very uplifting account of something we didn’t know was happening at the time (because we were too consumed, being close to New York, with the Twin Towers part of the 9/11 attack): the story of several communities in a remote area of Newfoundland who played a unique role in helping stranded travelers immediately after the attack. I’d recommend this to high-school students learning about the events of that day. The book left me wanting to go to Newfoundland and personally thank the people and organizations who dropped everything, raided their own linen closets, and offered amazing hospitality to people who just wanted to go home. Just in Time by Marie Bostwick. Grace’s life revolves around her quilting hobby and caring for her husband, who’s been in a coma since a hiking accident on their honeymoon. Her friends from a grief support group stand by her and push her toward new adventures even as new crises in her work and personal life threaten the fragile balance of her life. Terrific characters. Bound by Brokenness (The Healing Season’s series #2) by This story is a continuation of a series; definitely these need to be read in order. Dr. Matthias Mason is injured while treating the people in the mountain region where he lives and works; his young assistant steps out of her comfort zone to take care of things while he cannot. Meanwhile, 12-year-old Samuel is left on his own to manage a household, the vegetable garden, and his schoolwork — and he finds himself embroiled in a bootlegging scandal while trying to protect a friend. Some anachronistic dialogue got in the way of the historical-fiction experience. The Way Life Should Be by Christina Baker Kline. Kind of farfetched, but good escape fiction: Angela’s friend convinces her to try online dating, but it doesn’t turn out quite as she expected and it has disastrous effects on her job. When she heads to Maine to either escape or start over (even she doesn’t know which) she finds a surprising way to start over. I almost didn’t purchase this because of the reviews I read on Amazon (people were upset that this wasn’t anything like Orphan Train, but I really enjoyed it). The Sister Circle (Sister Circle #1) by Vonette Bright & Nancy Moser. A sweet, if farfetched, story about a recent widow whose husband left her nothing but an enormous old home filled with antiques. She opens a boardinghouse, filling the rooms with 3 women with little in common except they all need a place to stay. The book’s Christian message is strong, veering toward the didactic at times. This is the first in a series, and it’s pretty clear that there’s going to be a discovery that two characters have an unexpected connection (I’m trying to avoid spoilers); honestly, that’s the only reason I purchased the second book in the series. Least Expected by Autumn MacArthur. This short novel takes place over the course of a week or two at Christmastime; a middle-aged store owner with an overbearing mother falls for the quirky, artistic freelance window decorator. It wraps up a little too neatly, of course, but it was a fun read that definitely had me hoping these two characters would get together. Catholic Baby Names for Girls and Boys by Katherine Morna Towne. I was honored to be asked to endorse this book! Choosing a Marian name for your baby, or helping your teen select a Confirmation name, just got easier. 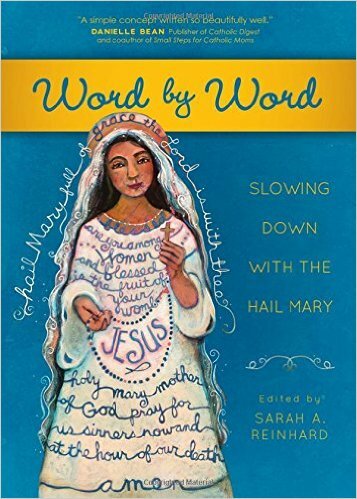 Kate Towne takes the guesswork out of the naming process, offering hundreds of names and nicknames that refer to Mary or are used in her honor. Complete with feast-day information, a bit of history, and plenty of variations and cross-referencing, this guide to names that honor the Blessed Mother is fascinating and full of surprises. Read my full review. 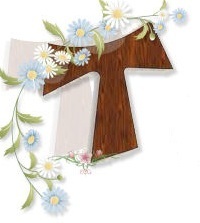 Katie Prejean McGrady’s Follow: Your Lifelong Adventure with Jesus invites young Catholics to get to know Jesus in practical ways. But it’s not for young Catholics only! There are only four chapters, but they’re comparatively long ones, divided into sections of a few pages each. These four chapters cover four important ways to build a relationship with Jesus: prayer, Scripture, sacraments, and service. 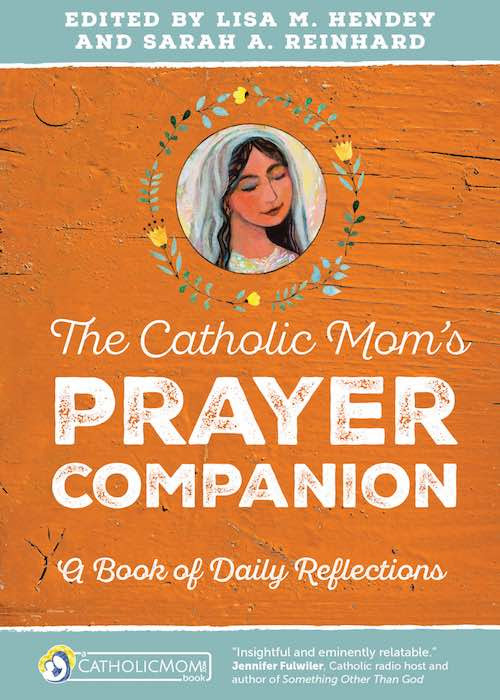 There’s a lot of information in this book: the chapter on prayer, for example, includes the Litany of Humility, a list of all the mysteries of the Rosary, and extensive coverage of various ways to pray. Emily Wilson Hussem’s Go Bravely: Becoming the woman you were meant to be was definitely written for an audience more my daughter’s age (22) than mine (more than old enough to have a daughter who’s 22). That didn’t stop me from grabbing a pen and underlining large chunks of it. Wilson’s advice is for women of any age — the anecdotes will appeal most to older teens, college-age, and young-adult women, but the advice is definitely for us all. It would be great for a mother-daughter book club! This book is divided into twenty short chapters, each with a different piece of advice: for example, Find Your Gaggle, Honor Those Who Love You Most, Forgive and Forget, and Radiate with Light. The Night the Lights Went Out by Karen White. Not at ALL what I expected — but what a story! Merilee moves into a guesthouse with her kids after divorcing her unfaithful husband. She strikes up an unlikely friendship with her prickly landlady, who’s nursing a lot of old hurts that haunt her more and more as she ages. Merilee enrolls the kids in a local private school and must deal with the Mean Moms crowd. Heather (the chief Mean Mom) suddenly takes Merilee under her wing, making her over in her own image — but something is not quite right. Local scandals turn into danger before long. A terrific read. Emily’s Song by Christine Marciniak. An accidental trip through time after her best friend’s wedding lands the unhappily single Emily in the home of an unhappily engaged young man who’s about to head off to the Civil War. Rich historical detail, especially involving fashion, give extra credibility to the tale. I enjoyed the plot twists and well-thought-out connections between past and present. Some proofreading errors in this novel, but overall, the characters, humor, and suspense were spot on. Write Me Home by Crystal Walton (Home in You #1). An enjoyable (and clean) romance, this novel told the story of Ethan, whose heart was broken as a teenager when his sister tied in a tragic accident, and Cassidy, who inherited a summer camp in the Catskills and wants to renovate and sell it. Cassidy can’t get beyond old memories at the camp, and Ethan is similarly stuck in the past, constantly reliving (and blaming himself for) his sister’s death. Restoring the summer camp seems like it will restore both of their spirits — but someone is sabotaging their efforts. Begin Again by Crystal Walton (Home in You #2). Best of the “Home in You” series (which you don’t have to read in order, BTW), this novel has former model Ti arriving in the Outer Banks on vacation and running into Drew, a single dad with a failing business. Clever banter ensues as Ti charms her way into helping Drew save his shop in the tourist town, but Ti also needs to deal with the ghosts of her own past, which nearly keep her and Drew apart. The Last Chance Matinee by Mariah Stewart. I received the second book in this series via Netgalley, so I read them out of order. It definitely would have helped to have read this one first, though I think there were a few continuity errors. Two sisters travel to northeastern Pennsylvania to receive their inheritance after their estranged father’s death — and discover that they have another sister they never knew of. In order to inherit their father’s fortune, the three must live together and renovate a tumbledown theater in town. Surviving the Stillness by Jessica White. In this historical novel set in the 1920s, a brother and sister on the run are stranded in a small Montana town and taken in by a woman who works in a Catholic orphanage. 15-year-old Abigail has managed to hold it together despite the trauma she’s faced in the past year or so at the hands of the people who were supposed to protect her — until she reaches the safety of the orphanage. She’s not the only one suffering, however; the local doctor still grieves the loss of his wife and isn’t sure how to deal with the upcoming separation from his son when the young man goes off to college. This is a story of compassionate healing on many levels, and the human ability to heal others even while the healer is suffering. I had two business trips in April for a total of 7 nights away from home, as well as some other things happening, so my reading time was definitely cut short last month. No One Ever Asked by Katie Ganshert. A picture-perfect world shows its inner ugly side when a proposal to bus students from a nearby bankrupt school district means that their school will now be racially integrated. This story is told from 3 points of view: Anaya, who grew up in the now-bankrupt district but who’s teaching in the affluent zip code; Camille, a PTA chair who made her anti-integration views known and whose daughter is now in Anaya’s class; and Jen, who recently adopted a child from Africa and who’s finding the road to new motherhood more than a little bit rocky — and not at all what she expected. Sometimes it was tough to keep the various points of view straight — it got distracting as the book went on for almost 400 pages. Overall, though, it was a good story. Advance copy received from publisher. Island of Miracles by Amy Schisler. When Katherine discovers her husband has been living a double life, she abandons her home and job to take a sabbatical of sorts on Chincoteague Island. She’s immediately taken in by the community and finds a job on her first day there. Now calling herself “Kate,” she makes friends with her neighbor and is intrigued by the neighbor’s brother, who’s in the Coast Guard and is clearly interested in her. Then she learns that she’s pregnant — by the man she never wants to see again. A Catholic novel with an excellent priest character. Some far-fetched elements (see above re: job), some editing/proofreading errors. Don’t judge it by its cover (which I think suggests a beachy feel-good romance) — it’s an enjoyable story with plenty of suspense. Wish Me Home by Kay Bratt. A young woman running from her past (and her twin sister’s) finds an injured stray dog by the side of the road. He becomes her companion as she walks from Georgia to Key West, encountering some kind souls — and some terrible ones — along the way. Her journey leads her to an old estate where she’s taken in by the family who lives there, to help them run an animal shelter. She also finds romance. The book touches on mental illness, suicide, and life in the foster-care system. I’ve got a bunch of nonfiction reads in progress. Stay tuned. Links to books in this post are Amazon affiliate links. Thank you for purchasing books through my links!